Big ideas are big business these days and they can make all the difference. The question can often be where they come from and how to implement them. I would say that they can centre on collaboration - learning from others with different skill sets and different ways of working. Speaking at the Skills Third Sector conference recently, it was clear to me that cross sector collaboration can support big ideas. Not for profit organisations require similar skills to other businesses, the difference is that they tend to be focused on localised issues and working for a social benefit. They cover a wide spectrum of organisations, ranging from community associations and charities, to social enterprises and housing associations. It is often the case that profit-making businesses can learn from the not for profit sector. Charities and social enterprises often have strong community links, are skilled at meeting local needs and have a good understanding of their client base. And it works both ways. Not for profit businesses can also learn from the private sector about adapting to new business models and dealing with change. At Turning Point, where I am Chief Executive, we work with local authorities, other not for profit companies and private sector organisations to best meet the needs of the communities we serve and collaboration is at the heart of our work. Engaging directly with the communities that we work with by involving them in service design means that co-production is also a big part of what we do. The UKCES Employer Ownership Pilot is all about collaboration. It allows all kinds of businesses to combine their resources in conjunction with public investment to develop proposals that tackle common skills issues. It is a good use of resources and a smart way of working to generate greater impact. Another initiative with partnership working at its heart is the Collaborate Institute, which will launch its manifesto on 17 January. 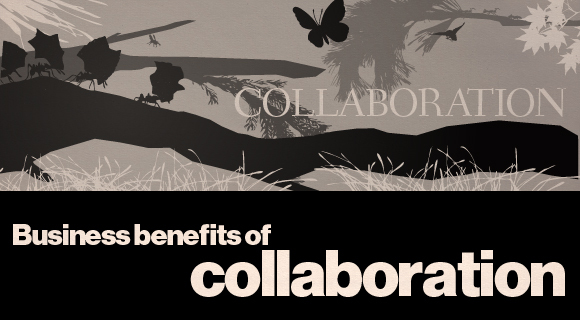 Based at London South Bank University, the institute aims to study, promote, teach and develop the practice of collaboration across for profit, not for profit and public service boundaries, to quote Darwin - the species that survive are those that learn to collaborate. So here’s my big idea; let’s start working together, pooling our resources, skills and experiences to improve what we do. In my opinion, the future of services to the public is all about collaboration.